Have not collaborated with ARL within the past five years. The Research Info Paper is a 2-4 page document describing your research capabilities and how those capabilities and your research interest can impact the DOD research mission. Please follow the template below for format and required content of the info paper. Research Capabilities. Concisely explain your research capabilities – Describe the research you have conducted and the techniques you are familiar with. Interest. Concisely explain your interest – what specific DOD area of research you would like to explore. Explain how your expertise can impact the desired research area. Outcome. State the expected/desired outcome(s) of the 10 week experience. Follow-on Engagement. 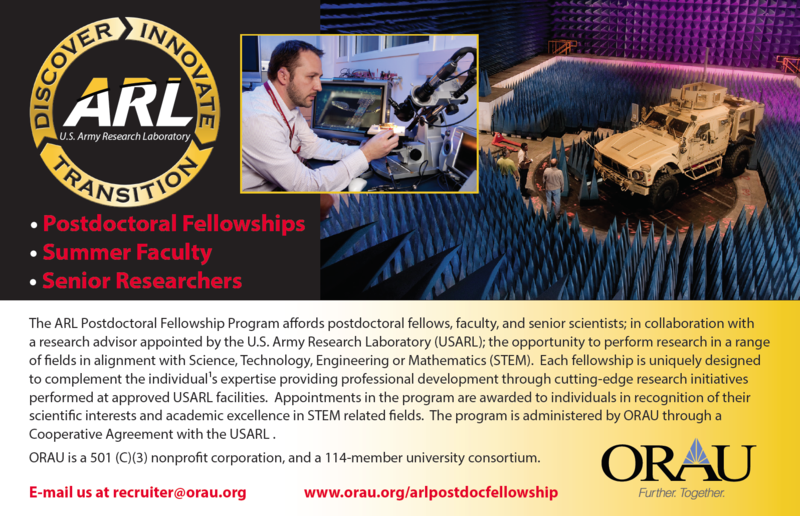 Include how the research can be continued at your home institution for continued collaboration with the DOD. Upload your complete application for the HBCU/MSI Summer Faculty Project at this link by clicking apply. If you have any questions about the HBCU/MSI Summer Faculty Fellowship, please the contact ARL-RAP recruiter, Krystle Wagemann.